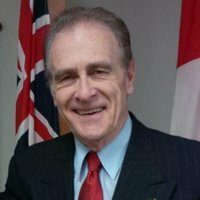 Norm Kelly is currently the incumbent in Ward 40. The candidate for Toronto city council, Norm Kelly, registered to run in Ward 40 on 2/28/2014. This candidate's nomination papers indicate that they live 10.88 kilometres outside of Ward 40 in Ward 44. Someone with the name Norm Kelly ran in the 2010 municipal election. Someone with the name Norm Kelly ran in the 2006 municipal election. Someone with the name Norm Kelly contributed $170 to in the 2010 election. If doesn't look like there are any phone numbers on file for Norm Kelly yet. Why don't you consider sending us one? Find out how Norm Kelly responded to the Toronto Centre for Active Transportation (TCAT) survey. The survey asks for candidate's views on "active transportation issues and about the concrete steps that can be taken to improve cycling and walking in Toronto."